A blast from the past here as Radwanska and Azarenka will meet on a tennis court for the first time in nearly three years. The pair have had a colourful head-to-head – Azarenka won seven on the trot and was dismantling Radwanska’s game time and time again in 2012. Radwanska managed to turn things around in that famous match from the Australian Open back in 2014 where she was totally awesome. Radwanska also won their most recent match in Canada in 2014, 6-2 6-2. Both are somewhat unexpectedly into the last 16 of the Miami Open. On a plus, Radwanska seems to be past the injuries that rather ruined her 2017 season. However, she’s still battling to get back to her best and has at times looked vulnerable and overpowered this year. A come-from-behind victory over the world number, Simona Halep in the third round was her best performance in a long, long time. Nothing beats playing competitive matches and Azarenka is still building up match fitness. With each match in Miami she has shown improvements. Beating Anastasija Sevastova in the third round, particularly from a set down, was a top win. I’m going for Azarenka in three sets. There’s still some rust in her game but it’s all there and I think her positivity will be key. I love the way she has been building points, her serve has held up OK and the passion, drive and intensity is still at the forefront. Slam champs unite for this sure-to-be compelling fourth round clash. The pair have played just once before in Wuhan back in 2015 where Muguruza dropped only two games. I think Muguruza’s form has been decent this year and even in her two most recent losses, both from winning positions, she played very well at times. 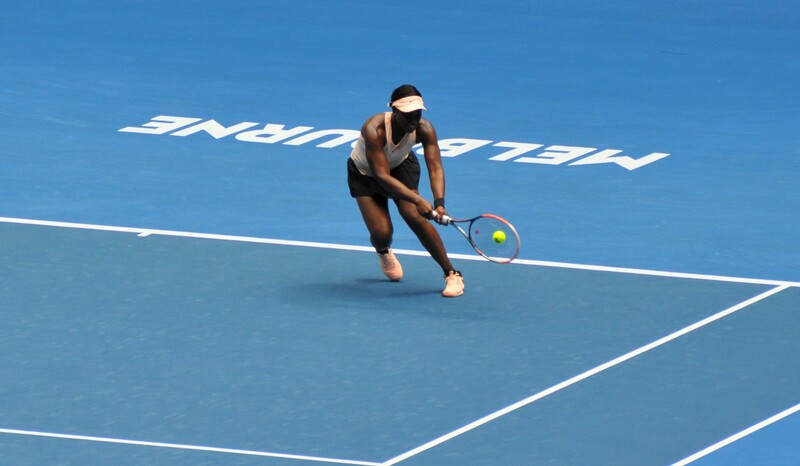 I wasn’t concerned about Stephens on her losing run when I watched her play at the Australian Open. Slowly but surely, she’s coming back and most impressively, really committing in matches to finding a way to win. I haven’t had the chance to see their latest matches in Miami so i’m not in the best place to predict with any kind of confidence. I’ll stick with my Draw Challenge finalist, Muguruza, who I think will put a lot of pressure on the Stephens serve. Pliskova beat Diyas in their only previous match in Birmingham for the loss of just four games. I like Diyas and she has a well rounded game. This will be a tough match though and I do feel she’ll need to play a blinder to stand a chance. Pliskova’s serve and clutchness frequently gets her through these types of matches with a win. I’m just not sure if Diyas has enough in her game to hurt Pliskova consistently. March 25, 2018 in Day Preview, Miami, WTA.